3 Words Colorful Junior Answers.Hello Folks! Below we have shared the solutions for the newest game created by Apprope, which changed their company name into Tappeal AB. 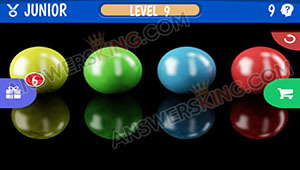 This game is 3 Words Colorful and it’s a simple and amazing game in which you have to find 3 words from each picture shown. The first packs have 10 levels per each pack and then increasing up to 40 levels per pack, the more you play the more it gets harder to solve the game.